Home CDN , children , crafts , December , feature , holiday , holidays , homeschool , papercrafts , printables , US , worldwide December 15th - Freebies! 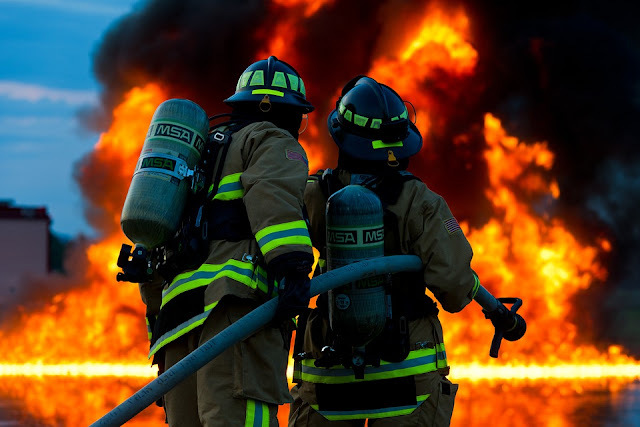 -- Our Nation offers special thanks to its firefighters on December 15th, National Firefighters Day. Let this be a day to remember the men and women who protect us and who have given their lives in the line of duty. They all are heroes. By honoring them, we pay special tribute to the spirit of community and unselfishness which is such an integral part of their character. Firefighters are inspirational examples for all of us and are worthy of our highest praise for their tireless devotion to fulfilling their sacred responsibilities to society. -- American Firefighter contains the real-life stories of firefighters, from the most rural volunteers to the most sophisticated and technologically advanced metropolitan departments, and it also profiles the children and grandchildren of firefighters who have been lost in the line of duty as they honor and pursue a family legacy. This book is an excellent gift for this nation's 1.4 million firefighters and their families, for those just coming to the profession, or for any American who is intrigued to learn more about these everyday heroes. • Lots and Lots of Fire Trucks DVD -- Kids who love fire trucks and firefighting heroes will love these amazing non-stop fire truck action videos. This Award-winning, Lots and Lots of fire truck series brings you racing red fire engines, giant pumper trucks, hook n' ladders, rescue rigs, super soakers, a firehouse trip, fire safety tips, firefighters putting out fires, and more! • Click N' Play Search and Rescue Firefighter -- Firefighting search and rescue action-packed pretend play set made of Super strong, superior quality BPA free plastic material, with authentic, highly detailed design with uniforms and accessories. Set includes; one Firefighter figure in uniform, fire hat, radio, equipment box, ax, shovel, chainsaw, drill, wrench, rope, hammer, screwdriver and more. - If you can say your job — or even your life — is like trying to herd cats, then this day is for you — with our sympathy. - Lemon cupcakes are delicious tangy desserts delighting our hearts all through the year, although it is the national lemon cupcake day which celebrates the tiny delectable morsel in style. - In the United States, the Bill of Rights is the name by which the first ten amendments to the United States Constitution are known. They were introduced by James Madison to the First United States Congress in 1789 as a series of constitutional amendments, and came into effect on December 15, 1791, when they had been ratified by three-fourths of the States. - How important is sleep? It is essential to our total well-being. Sleep helps us feel healthier, think sharper, enjoy life more fully.